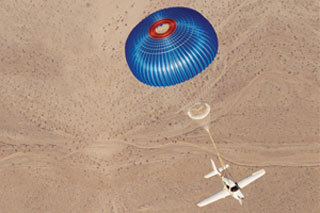 When you think of Cirrus and Safety it’s very easy to think, “Parachute.” While this is the most visible new technology Cirrus has built into SR20/SR22 airplanes it is just one aspect of our thinking about safety – and possibly not the most significant. Cirrus incorporates safety features in its aircraft in four ways: Aerodynamics and other passive features can help protect you from inattention or distraction; situational awareness and stress reduction features reduce workload and help you give a flight the attention it deserves. If you do lose control CAPS, the parachute, may be able to help; and if you do end up in an accident, a crashworthy design can help protect you from injury. But also important is being able to use that technology comfortably; having skills to taxi, takeoff, fly and land; and judgment, navigation and instrument skills to "get there safely". Traditionally, you keep these skills sharp by challenging yourself or working with a local flight instructor. There are also, today, "social" options: The Cirrus Owners and Pilots Association (COPA) and AOPA's Air Safety Institute (ASI) are but two. COPA's on-line forums offers safety and training discussions. Local events and annual "migrations" encourage one on one interaction to discuss aircraft utility and safe practices. The Safety tab on COPA shows other events and programs. AOPA's (ASI), is also engaged in training and information programs. ASI is also well known for its annual review of accident trends (The Nall Report). Essential reading for anyone interested in general aviation safety. 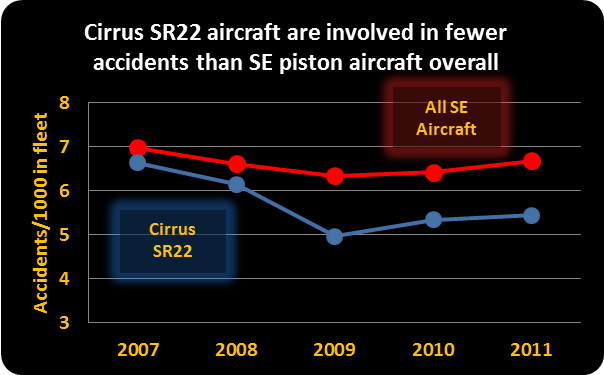 Cirrus also looks at accidents. We not only look at official causes (produced by the US NTSB or other authorities) but also speculate about the things that might lead to similar accidents. We imagine risky situations and identify training or technology ideas that could, in the future, help pilots who find themselves in similar situations. We also look at numbers (see the Cirrus History page). These are useful but, with so few accidents, such numbers alone rarely tell the whole story. 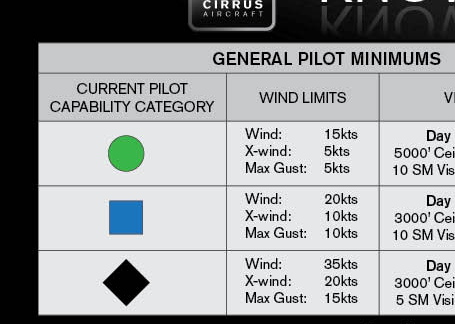 Finally, Cirrus gives you support in deciding to make your flight on any particular day: to help with those decisions that are needed to get the utility you deserve; to help with assessing the risks from weather and other factors. It is quite possible to operate a general aviation aircraft as safely as you drive your car. This is discussed in the Operating Safely page. Collectively, all these can add up to safe operations and great utility from your Cirrus.